You might not be able to get to the stadium for the big match and in urgent need to find a place where you could at least watch the game on a big screen. There are plenty of great places to enjoy the game in the company of other sports enthusiasts whether you are in Pretoria, Johannesburg or Cape Town. If you’re in Johannesburg, there is no better place than the exceptionally popular Beerhouse. During games, various craft brewers show their support for the teams via offering reduced prizes and while you get to follow the game on several big screens. During major sports events, the Beerhouse also offer baskets, and sports fans can select from wings, ribs, onion rings, chips and several other items. The three major sports stadiums in Johannesburg include the FNB Stadium, Ellis Park Stadium and the Johannesburg Stadium situated in Doornfontein. The Jolly Roger Pub is the perfect place to be if you want to enjoy sports events. They screen all the big tournament, and during the half time, all the drinks are on special. The pizzas at Jolly Roger’s are legendary, and you’ll be amongst hundreds of sports fans. The most popular sports stadiums in Pretoria is Pilditch Stadium, HM Pitje and Loftus Versfeld, situated in Arcadia. The Pilditch stadium is used for multiple events and is located at the show grounds complex based in the more northern part of Gauteng. Its capacity is 20,000, and it is often used for functions. The HM Pitje stadium is located in Mamelodi, Tshwane and accommodates 25,000 spectators, apart from sports events it is commonly used for big weddings or meetings. Hogshead in Hazelwood offers all the sports events on big screens and fans have access to huge specials on Budweiser and Jagermeister throughout the game. While halftime specials also include cocktails. Some of the major sports stadiums in Cape Town is the Turfhall Stadium Sports Complex, Green Point Athletics Stadium, Athlone Stadium, Newlands Cricket Grounds, Wynberg Military Base Stadium and the Sports Stadium. 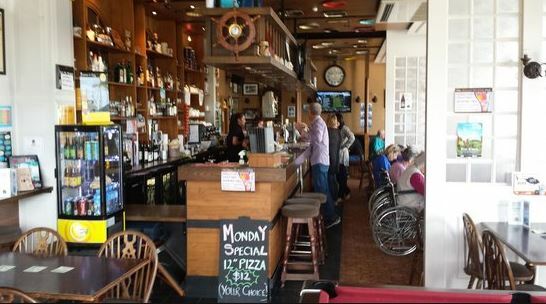 The Den Anker is one of the city’s most favoured by sports fans. This premier Belgian restaurant offers imported beers and game on the big screen. The beerhouse is where most fans meet to support their team and to enjoy various crafts as all beer prices are reduced during games. Located in Camps Bay, the Dizzy’s Pub pulls out all the stops to ensure fans have the best time during the FIFA world cup. Apart from screening games on several big screens. Pizza and beer prices are reduced. Everyone is welcome to join in the fun and cheer on their team. The crowd do get quite loud, which makes this the perfect spot for anyone who loves sports and having a great time in the company of like-minded sports enthusiasts. SAstadiums.com is not associated with any stadium or tournament listed on our web site. The information you see here is provided to your for information purposes only. The use of this web site is entirely at your own risk.